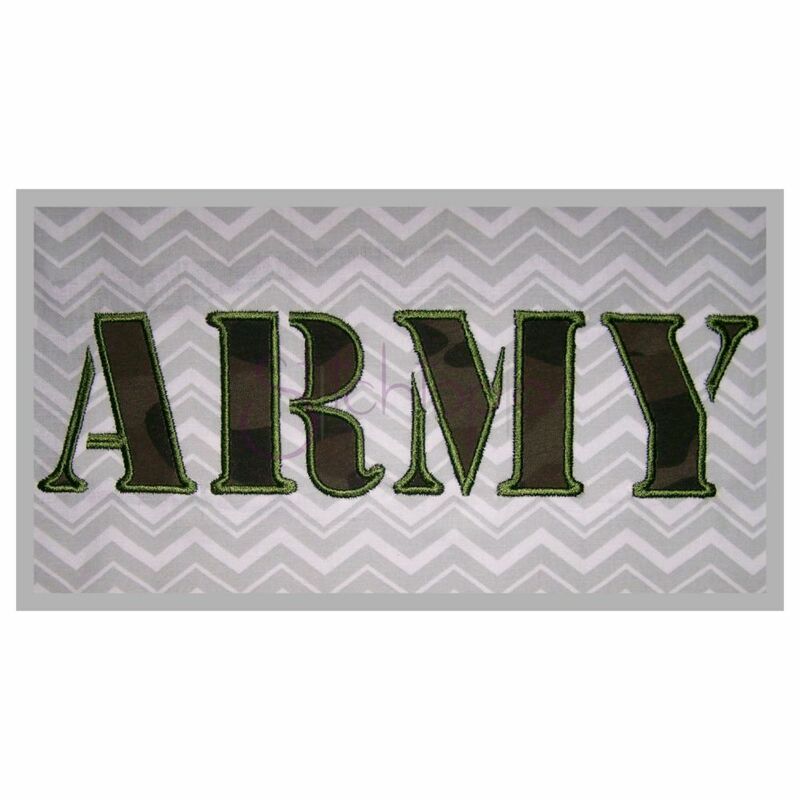 Army Applique Font Set, Small - 4 Sizes! This is such a great set for boys! Works for girls and adults too! Army font is also available in larger sizes and camouflage pattern fill, each sold separately below. Dimensions and stitch count below are based on the A. Includes Uppercase Letters. Letters are blank, use camouflage fabric for a fun look, if desired. This is such a great set for boys! Works for girls and adults too! Army font is also available in larger sizes and camouflage pattern fill, each sold separately below. Dimensions and stitch count below are based on the A. Letters are blank, use camouflage fabric for a fun look, if desired. Formal Monogram Set - 5 Sizes! Space Applique Monogram - 2" 3" 4"
Army Camouflage Embroidery Font Set, Small - 4 Sizes! 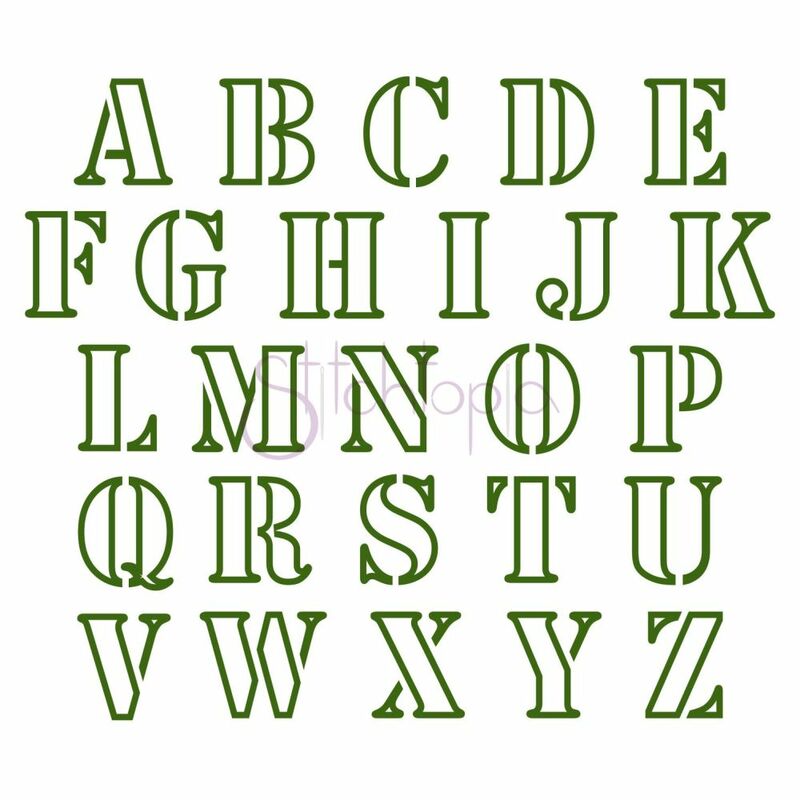 Army Applique Font Set, Large - 5 Sizes!